Missouri uses pentobarbital mixed by an anonymous compounding pharmacy in what the state has claimed is a one-drug protocol. A St. Louis Public Radio investigation revealed last week that the state has also been injecting significant amounts of another drug, midazolam, into inmates on death row. Two cases are before the court: one brought by a consortium of inmates on death row. The other is brought by an inmate whose execution was halted by the U.S. Supreme Court after medical experts examined him, and said his tumors would likely make his execution a grisly affair. Lawyers representing inmates in both cases criticized Missouri's use of midazolam, but several judges said it was irrelevant because it wasn't brought up in the brief. "It's not in the pleading," Judge James Loken said. "I recognize it's not in the record on appeal," attorney Joe Luby responded. "The reason I'm arguing it today is because the circumstances place the case in a significantly different light, and we're dealing with a significantly different protocol." Our report on Missouri's use of midazolam aired Wednesday morning. 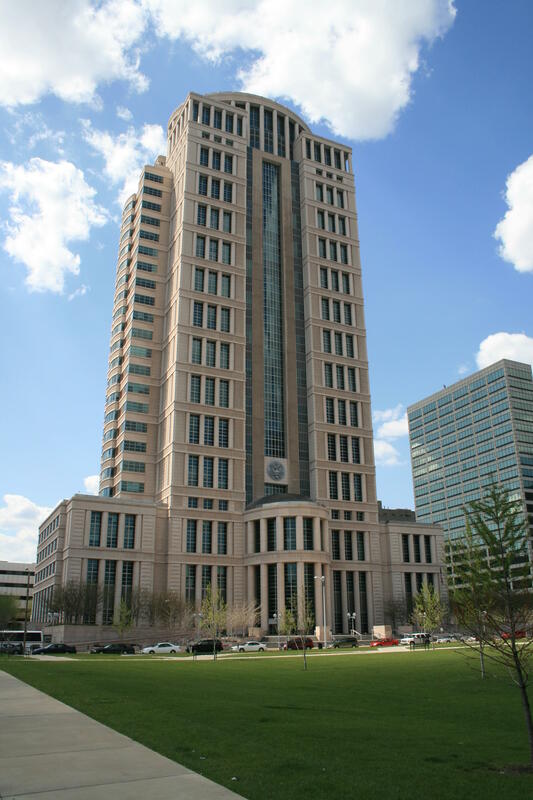 Luby and his fellow attorneys in the two cases asked the court to postpone the oral arguments scheduled for today in light of the new information. The court denied that request. The two cases are before the Eighth Circuit Court of Appeals, a court that many consider to be among the most conservative in the nation. The first case is brought by many inmates on death row, with inmate David Zink being the lead plaintiff. George Lombardi is the director of the Department of Corrections. At issue in this case is what inmates have to prove to show a violation of the Eighth Amendment's ban on cruel and unusual punishment. The lawyers, as well as some medical experts, have expressed concern over Missouri's methods, arguing that the use of compounded pentobarbital made from an anonymous pharmacy creates a substantial risk of unnecessary pain. It's an issue we've covered extensively. The state argues the risk is speculative. "One of the testing reports from Missouri [on drugs compounding pharmacies make] indicated about 25 percent were not pure," assistant attorney general Shaun Mackelprang said. "Now, this suggest a possibility that there could be an adulterated pentobarbital, but it doesn't show that it's sure or very likely." Luby contends the risk is more than speculative. "The likelihood of pain and suffering is an inherent consequence of the state’s choice to use compounded pentobarbital," the inmates' attorneys wrote. "Compounding pharmacies are systematically unfit to provide pharmaceutical products that health-care professionals use in the exercise of their professional duties except under limited and patient-specific circumstances." Mackelprang says there have been no signs of pain during Missouri's previous nine executions. Luby argued the midazolam injections would mask any pain the inmate was experiencing. "I thought that was an essential element of a humane protocol -- to mask whatever immediate pain is there," Judge Loken asked. "Your honor, I mean it would not be masked from the person experiencing pain, but is not able to communicate that he's experiencing pain. And that's what it says" in our expert's declaration, Luby responded. The case was dismissed in May. The court said the lawyers had to propose a feasible alternative method of execution if they took issue with how Missouri is currently carrying it out. 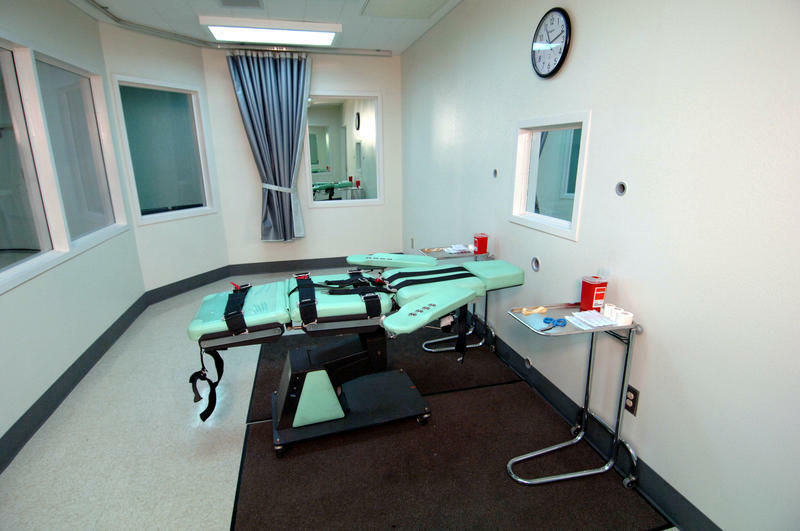 The state argues it is a two-prong test: That the lawyers have to show that the execution would put their clients through considerable pain, and that they must propose a better way of it being carried out. The inmates' lawyers maintain it would violate their ethics to advocate for how their clients should be killed. An alternative method of execution is an issue in the other case the Eighth Circuit heard on Tuesday, concerning death row inmate Russell Bucklew. 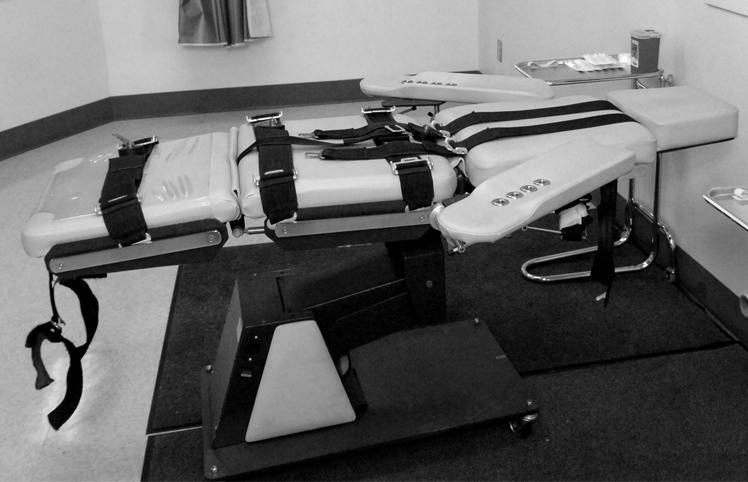 The U.S. Supreme Court halted Bucklew's execution in May, after his attorneys raised concerns over his rare medical defect. Bucklew has a condition called "cavernous hemangioma" that gives him large tumors that bleed when touched. "Mr. Bucklew's airway is severely compromised or obstructed due to the hemangiomas. It is also friable, meaning it is weak and could tear or rupture. If you touch it, it bleeds," Dr. Joel Zivot said after examining Bucklew. Zivot said an execution would require the highest level of vigilance from those carrying it out. "During an execution, Mr. Bucklew will be at great risk of choking and suffocating because of his partially obstructed airway and complications caused by his hemangiomas." "The bottom line is that there is no way to proceed with Mr. Bucklew's execution without a substantial risk to Mr. Bucklew of suffering grave adverse events during the execution, including hemorrhaging, suffocating or experiencing excruciating pain." Pilate says more imaging of Bucklew's condition has to be done before he can be executed in a constitutional manner. The state has not had a medical expert examine Bucklew for the case, but it counters that the concerns are irrelevant since his lawyers haven't come up with a better way of executing him. "Let's say you do have more imaging done," Judge Raymond Gruender said. "How does that help you discover an alternative method?" Bucklew's attorney, Cheryl Pilate, says the imaging would at least provide guidance on what areas require the most attention by execution team members during an execution. She says the case should be remanded to a lower court so the case can proceed with discovery. "The Supreme Court's stay, I think, made it very clear that Mr. Bucklew was very differently situated from the others" on death row, Pilate said. Many of the judges seemed receptive to that, but some also seemed unsure of how far to let discovery go. Discovery is the process by which lawyers obtain evidence from the opposing side. "Are you talking about discovery with regard to Mr. Bucklew's condition and how the protocol would apply to him specifically? Or are you talking about looking into what the state is doing and planning?" Chief Judge William Riley asked. Pilate responded that she would like discovery for "just what's relevant." "I would ask the court not to read too much into the substance of what the Supreme Court meant" in the stay of Bucklew's execution, assistant attorney general Jim Farnsworth. While in the Zink case, the judges appeared receptive to the state's arguments, the judges did not seem to be swayed by the attorney general's office in the Bucklew case. "They denied nine other stays for Missouri but granted this one," Loken responded. "But you're arguing that it didn't mean anything." Bucklew was sentenced to death for killing his ex-girlfriend's friend, Michael Sanders, in 1996. He then abducted his ex-girlfriend and raped her.